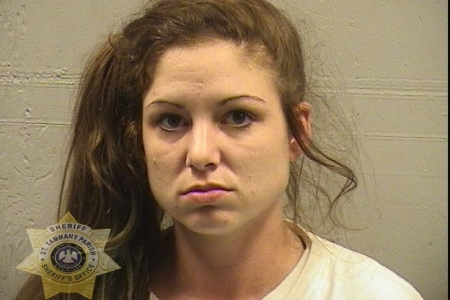 A Slidell-area couple was arrested on a long list of charges after narcotics and firearms were located when their home was searched as part of an ongoing investigation. 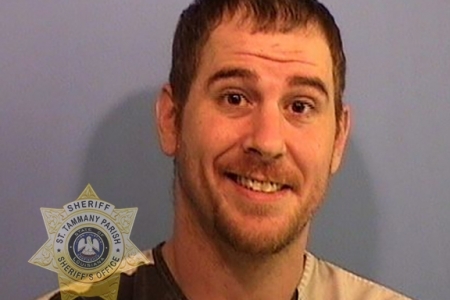 Detectives assigned to the St. Tammany Parish Sheriff’s Office Narcotics Task Force executed a search warrant last month at a residence on Shockley Drive in the Slidell area. While searching the home, detectives discovered a wide array of illegal narcotics, including 19 grams of suspected heroin, approximately 37 grams of suspected methamphetamine, approximately 40 grams of suspected marijuana, and hundreds of various prescriptions medications, all packaged for distribution. 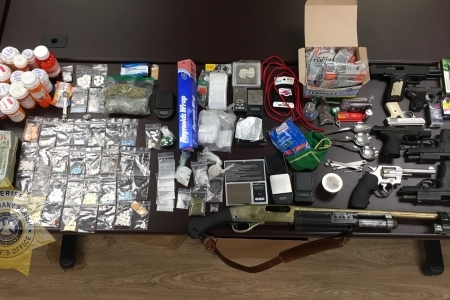 Assorted drug paraphernalia including scales, smoking devices, syringes and packaging materials were also located inside the home, along with eight firearms, $24,466 of suspected drug proceeds and stolen property. As part of the investigation, arrest warrants were obtained for Glen Morgan (DOB 4/13/1983) and Amber Johnson (DOB 7/30/1989).